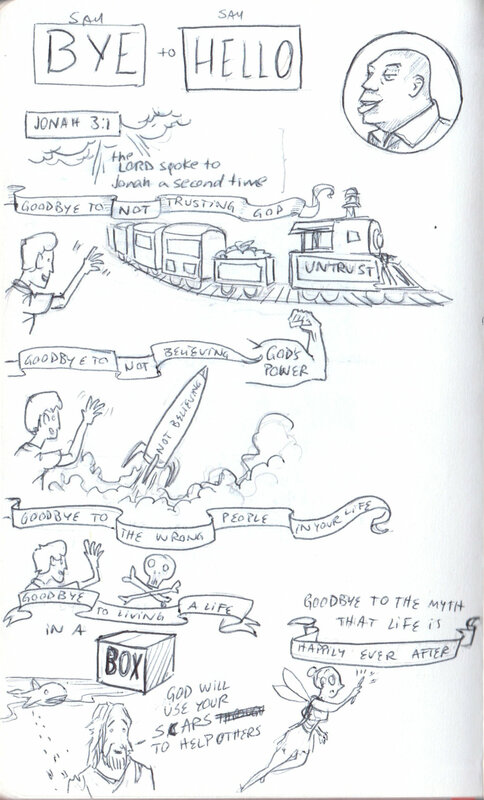 This is a sample of some sketch-notes I have made. They go from most recent ones made this year (2018) to an oldie I made in 2013. If you put your mouse over the image more information about them will show up. Sketch notes of a sermon at The Orchard Church of Ellijay, 2017. These sketch notes wer made on site while the pastor was speaking. using an ink liner and no previous sketch. Sketch notes for 2 parts of the series Jesus on Purpose, at the Orchard Church of Ellijay. 2017. These sketch notes was made on site while the pastor was talking. Initially drawn with pencil and inked when I returned home. Sketch notes of a message at The Orchard Church of Ellijay, 2017. The sketch notes were made on pencil while the pastor was talking and then inked afterwards. Sketch note of a message at The Orchard Church of Ellijay, 2017. These sketch notes were drawn with pencil while the pastor was speaking, some of it was inked during the sermon and the rest afterwards. 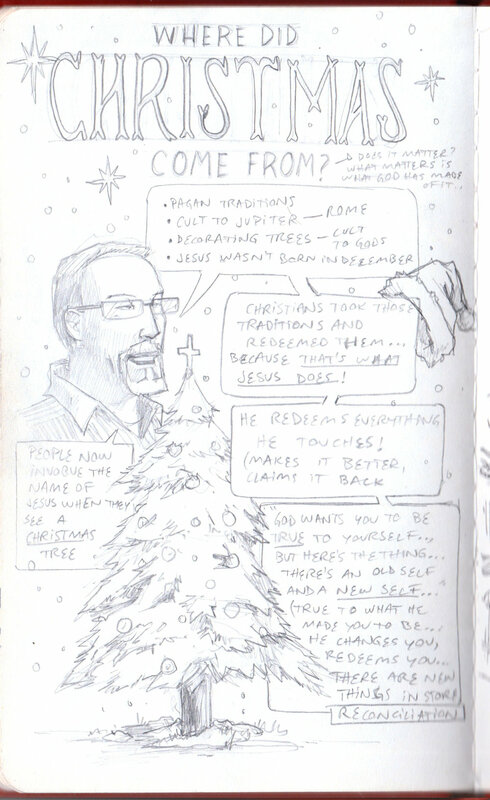 Sketch note of a teaching at the Orchard Church of Ellijay, 2016. This sketch notes were made with pencil while the pastor was talking. 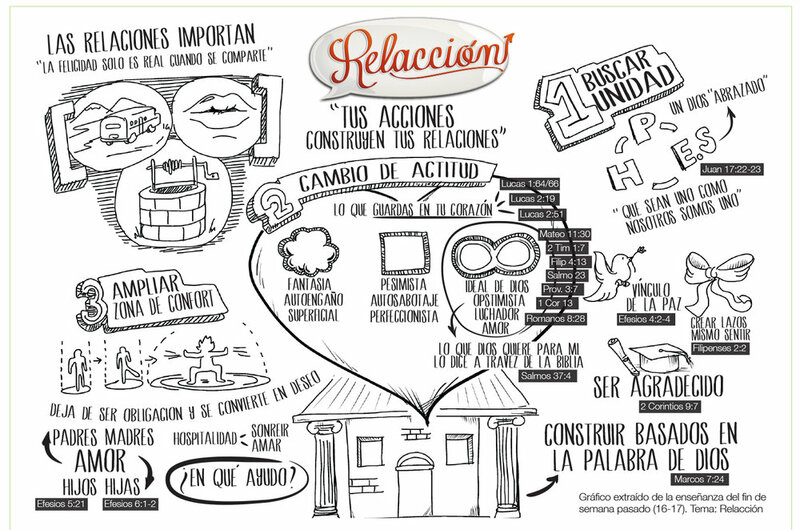 Sketch notes of a sermon in Costa Rica, 2013. A friend and I created this sermon, and since both of us are artists, we decided it will be nice to preach and draw it at the same time. I drew while he talked and he drew while I talked. It was a fun experience. Then we made drew the sketch-note on computer and printed it as a giveaway to people who attended.